From Kazakhstan to Russia’s Black Sea coast, the Tengiz-Novorossiysk pipeline stretches some 1,500km, cutting through the Republic of Kalmykia. Controlled by the Caspian Pipeline Consortium (CPC), the pipeline transports upwards of 30m tonnes of crude a year. The Kalmyk authorities are pleased to work with CPC, and so are the residents of villages that the pipeline traverses. Well, most of them—some locals have been left behind. After Kirsan Ilyumzhinov, a Kalmyk businessman and politician, was elected president of Kalmykia in 1993, he immediately began to build his own ‘power vertical’ – a team of loyal officials across the republic, including the leaders of 13 administrative districts and Elista, the capital. In 1994, Ilyumzhinov decided to do away with the symbols and principles of Kalmyk statehood and, at his request, the republic’s constitution was switched for the ‘Steppe Code’, invoking historical laws governing the territory. According to this document, Kalmykia was no longer a ‘democratic government of law’, but simply an ‘equal subject of the Russian Federation’. The post of president was abolished, and the republic’s leader gave himself a more modest title instead. 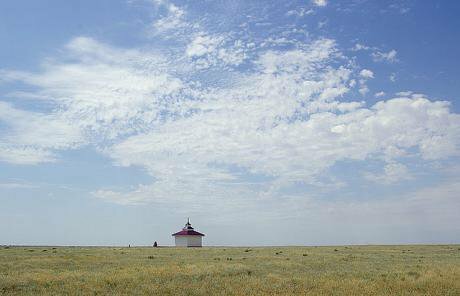 Roughly 290,000 people live in Kalymkia, famed for its wide-ranging steppe. Maria / Flickr. Some rights reserved.A decade later, President Vladimir Putin announced that Russia too would move towards a ‘power vertical’. In 2010, Chechnya's Ramzan Kadyrov followed suit, announcing that he didn’t want to be president: ‘in a united state there should be only one president, and the regional leaders should call themselves the “head of the republic”, the “head of the administration”, governors and so on.’ Shortly afterwards, the presidents of the republics – one by one – began to rename their posts. By that time, though, Ilyuzhimnov had fallen out of favour. But the truth remains: Kalmykia was the first to experience the ‘perks’ of vertical governance, and still leads the ‘regional development’ charge. The village of Kevyudy, in the district of Iki-Burul, sits on the border with Stavropol krai. On 18 August, Kevyudy was hit by a terrible hurricane. Many homes lost their roofs, and several of them are still only partially covered. The republic’s authorities have assigned money for roof repair, but the slate delivered isn’t enough for everyone. For the most part, Kevyudy’s residents are poor. In the mid-2000s, the village’s agricultural enterprise was declared bankrupt, and its assets went under the hammer. Kevyudy village. 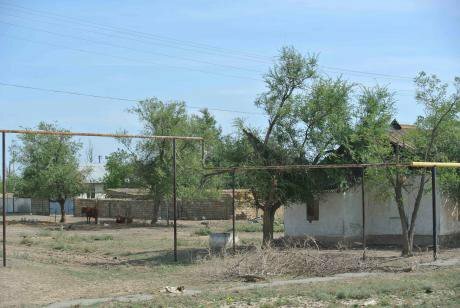 Image: Badma Biurchiev.The land was divided up between the villagers, but they are yet to make any money from it. They simply don’t have the start-up money, the equipment. 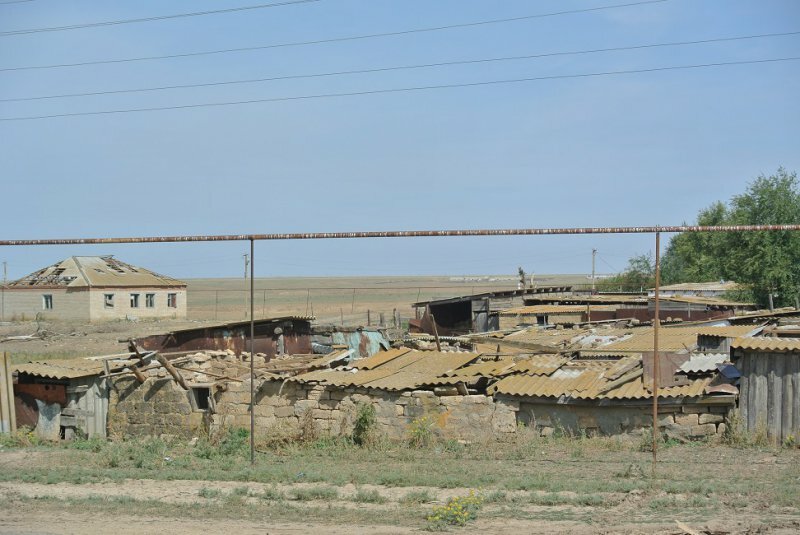 Instead, the residents of Kevyudy are forced to lease their land to farmers from Stavropol, who are wealthier. In return, they receive hay, straw and enough grain to feed their cattle. But in 2012, Kevyudy got a break. 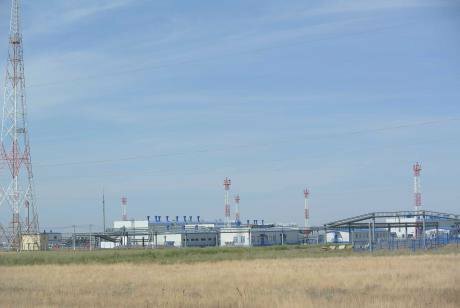 The Caspian Pipeline Consortium began to build a pumping station near the village. Using these pumping stations, CPC plans to increase capacity on its Tengiz-Novorossiysk pipeline to 67m tonnes per year. All of this wealth, however, will pass Kevyudy’s residents by. Following court proceedings involving village residents, people in Kevyudy are now afraid to talk to journalists openly. Several people did agree to speak about the building project and conditions in the village, only on grounds of anonymity. CPC pumping station near Kevyudy village. Image: Badma Biurchiev.In a video published in August 2013, Khongor Tagiev, a former employee of the company responsible for building the pumping station, Stroikontrakt, claimed that Stroikontrakt violated employment contracts, and engaged in racial discrimination against its workers. For Khongor, the conflict with Stroikontrakt started after he stepped in for a fellow villager: the boss had called the man ‘a slit-eyed churka’ (Churka – pejorative term for someone from the Caucasus or Central Asia). Furthermore, Tagiev saw evidence of discrimination in Stroikontrakt’s wage structure. Along with Kazakhs and Turkmen , Kalmyks had lost one of the financial compensations laid out in their contracts. ‘Slavic’ workers continued to receive full wages. The fact that the courts are on the same side as the security services and public officials isn’t news for anyone in Russia.The building project is now finished, and Tagiev is less than forthcoming. He has lost in court several times, despite the fact that he has evidence confirming his suit against the company’s management. According to other village residents, in 2013-2014, security service officers pressured Tagiev into staying quiet through arrests, threats and attempts to plant drugs on him. Others have been less lucky. The former head of the Kevyudy village administration, Nikolai Nayminov, who confirmed Tagiev’s statement in another YouTube video, has since been sentenced to six and a half years of prison on bribery charges. Allegedly, in March 2013, Naiminov took a 5,000 rouble bribe for false documents relating to cattle transportation. The Supreme Court, later substituted Naiminov’s sentence for a fine of 350,000 roubles. The fact that the courts are on the same side as the security services and public officials isn’t news for anyone in Russia. Denis Sokolov, a researcher who works on regional economics, frequently emphasizes that economic and political reforms are impossible without access to free and fair courts. ‘Today, the courts and the prosecutor’s office, not the Vnesheconombank [a state corporation with oversight for regional development], are the main “institutions of development”.’ Indeed, it is the merging of regional authorities and the judicial system, which has left poorer Russian citizens without means to judicial recourse. Indeed, Bazyrov can list the charitable acts of the company, including 73m roubles for a primary school at Iki-Burul, the district centre, six million rouble contribution for the repair of a stadium, 1.6m roubles for medical equipment, and 500,000 roubles' worth of furniture for a middle school. Kevyudy. Image: Badma Biurchiev.But as soon as we return to Kevyudy, Bazyrov gets annoyed, though he hides it well. You can’t hide the situation in Kevyudy, all you have to do is go there. Bazyrov’s reaction is understandable. You can’t hide the situation in Kevyudy, all you have to do is go there. There’s roughly 500 people left in the village. The young people are leaving, though that, of course, is a general trend. One’s sense of injustice only increases when you take a look at the nearby Chernozemelsky district, where the signs of co-operation with the oil business are plain to see. 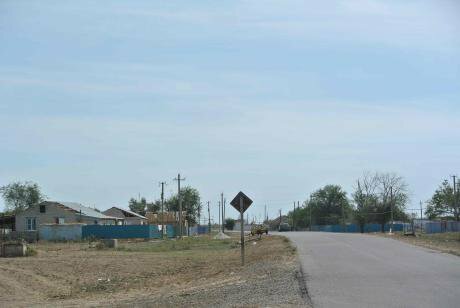 In the village of Adyk, for instance, there’s a street of new homes destined for young families. There’s a new stadium in Artezian, and the local budget receives an extra 40m roubles annually. The head of Iki-Burul tells me that this discrepancy is down to differences in the price of land, which, set by local government, is three times higher in Chernozemelsky district than Kevyudy. The amount of territory is greater, too, according to Bazyrov. But still, these sums don’t really add up: seven million roubles in leasing fees for three villages versus 40m for Artezian alone. Perhaps it’s because these villages in Chernozemelsky didn’t privatise their land, it still belongs to the local agricultural combines—and it’s harder to come to an agreement with them. Savr and Sanal are sure that Artezian’s prosperity is the result of secret deals between CPC, the authorities and the village’s informal leaders. It’s a paradox, but in this situation, it’s more profitable to remain a member of a collective rather than own property. Indeed, it’s better to side with a criminal group than the state. Meanwhile, public officials are largely indifferent to moods ‘from below’—a benefit of the vertical system of governance. They’re far more concerned with how they look in the eyes of their superiors than the people whose lives they directly affect. Alexander Etkind, a researcher of Russian cultural history, suggests that, for a resource state, sooner or later the population becomes superfluous. After all, the economy is tied not to labour or tax income, but mineral extraction—people outside of this industry are just dots on the landscape. Here in Kevyudy, the people at the bottom of the vertical have already turned into extra mouths to feed. 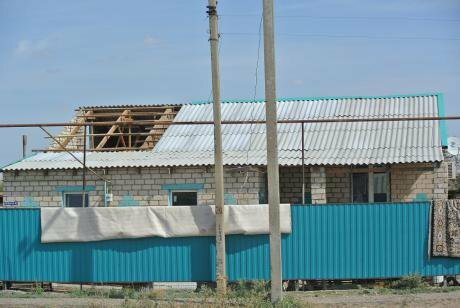 And despite the authorities’ plans to prop up places like Artezian, the villages of Kalmykia could empty far sooner. This doesn’t seem to worry the republic’s authorities. Editor’s note: Some names have been changed to protect identities.